You may think that you are reading this wrong, but there are actually benefits which you will obtain by sitting down and color the pages of the old fashioned coloring book. Coloring is highly individual, and therefore it is an amazing way to express yourself. Without you realizing it, you invent something that did not exist before using only the powers of your own mind. Another person will create a different picture by the selection of different colors and different techniques; therefore, coloring represents your unique taste and mind. Coloring is not something that you can multitask on. Even though it definitely is not very difficult and hard to do, coloring demands your focus and attention while you are engaged in the picture. This is great to train your focus and attention. By focusing on putting colors in the picture, you will be able to forget all your troubles at work and be able to be relaxed even though just for a bit. It is also a marvelous escape gateway which will take you away from all your daily tasks and technological distractions for a while. Because anyone can buy that beautiful painting in Ikea. However, no one will be able to produce the same set of colored picture as you have. Therefore, you may consider to print out a beautiful black and white picture for you to color and showcase as a beautiful homemade home decor that you can be proud of. When your children see that you are able to color a picture neatly and beautifully, you will instantly become a superhero in their eyes. The simplest task of coloring a picture can be stress relieving as well as creating a family bond without the interference of gadgets and social media, which is honestly hard to get these days. If you do not have any child on your own, you can go to the local orphanage and assist them in their coloring activities, and you too, can become a superhero. When you are that good in coloring, you may actually make real money by selling all your colored pictures. You can sell it online through the online selling websites or to people that you know personally. It does not even matter if you cannot draw, because you are an incredibly talented coloring artist. You can get other people to draw pictures for you to color, and you can divide the profits made by half each. As previously mentioned before, coloring definitely requires undivided amount of focus and attention. In spite of this, you do not realize that when you focus on the paper mentally, you will use up the sense of your sight which will work hand in hand with your motor skills. This requires an intricate process in the brain, which is proven to delay or prevent dementia in the elderly. You will be able fly to the land of colorful imagination and rainbow hues, leaving all your problems and worries behind with a crayon or colored pencil as your tool. Besides being a great meditative activity for letting your mind to take a break while being engaged in the colors, coloring has also been proven to reduce the overall stress level of an individual. 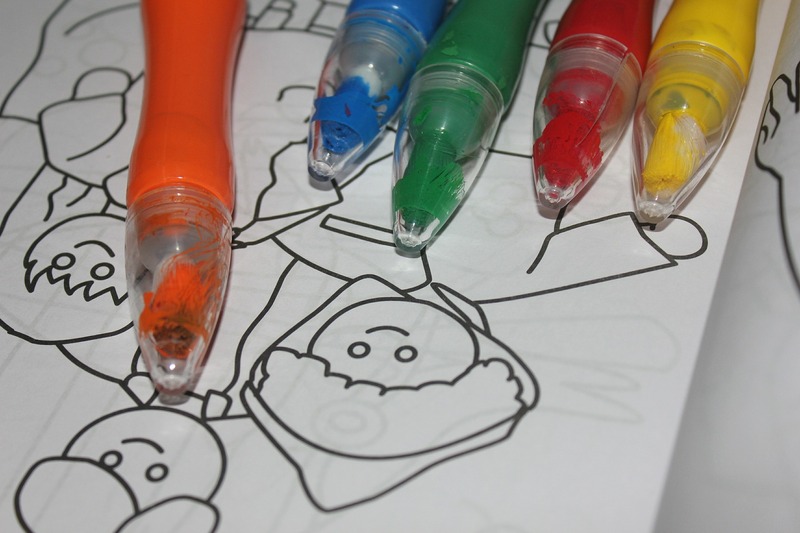 Coloring also benefits a person by reducing its overreaction in various stressful situations in the future.